Fall is here! – And everyone has settled into school - yeah! Notice to Juniors and Junior leaders - I am looking forward to your entries in the craft and photo contests at state session. Make sure to check out the rules in the blue book. Entries must be in place after lunch on Friday during state session – find Michelle Friday morning if you have questions. Plans are underway for an exciting adventure during state session. We will be traveling to the Mashantucket Pequot Museum Saturday morning during the conference from 9:00 to 11:30. Leaving the hall at 8:30. Please let Michelle DeDominicis know if you have Juniors or Young at Hearts that would be interested in participating. Also - this year - we will be holding the Junior Speech and Sign Language contests during state session as to changes in the National rules. If you have a Junior interested, they will need to be signed up by 9:00 am Saturday of state session - contest will be held after the Junior Luncheon. Contest rules can be found on the National website. All first place winners will then be able to participate in the National contests. (at contestants own expense) Happy Fall! At our September meeting, we held our Installation. Congratulations to our new officers! We also harvested our garden. The produce will be donated to an area soup kitchen. We learned a lot in August, and had fun too! We had a report about the Resource Recovery Center that we visited in August. Ten Juniors and several adults attended. We learned a lot! They also had a great activity center to make additional learning enjoyable. The whys of recycling. It is easy to recycle and so important to our environment. 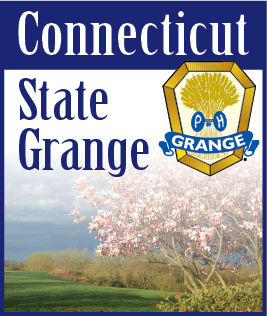 Special thanks to Oaklawn Grange in Rhode Island for setting up this great activity! Nine Juniors and several adults visited Tara Farm Rescue. The kids had a great time meeting the animals! We donated $50 from our Grange, as well as bags of grain, and cash from the families. Many Juniors entered crafts, flowers, and sweets in our Grange Fair. The duct tape table and Animal Experiences continue to be the favorites at the Fair. Our Junior Grange paid for Animal Experiences to be there; his animals are just GREAT! We received a donation from Mr. & Mrs. Larkin in memory of Mr. Chuck Thurlow. A thank you went around for all to sign. Mr. Thurlow will be missed by the many lives he touched. Special shout out to Casey who made September’s treat! It was definitely a hit! Good job Casey! !